Arizona is a state built for road trips. Long, fascinating drives blanketed by endless skies offer visitors a little slice of Arizona’s pie with each stop they make. From Sedona, the land of red rocks, to Phoenix, Arizona’s sophisticated capital, Arizona is a place filled with historical depth and warm Southwestern charm. Its 25 largest cities offer tourists a wealth of activities, including UNESCO World Heritage Sites, a World Wonder, world-renowned spas, several national parks, and the Sonoran Desert. 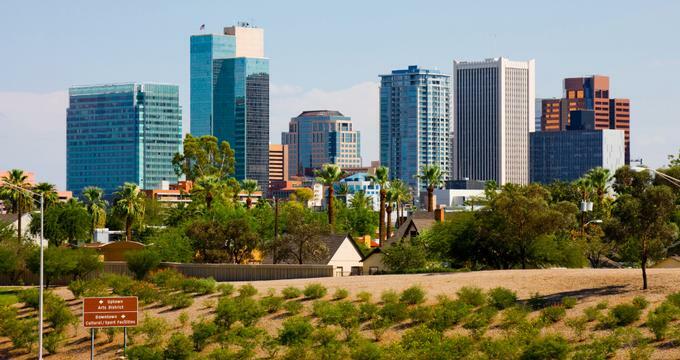 Arizona's capital, Phoenix is a place where big-city sophistication seamlessly mixes with its beautiful desert landscape. Situated in the heart of the Sonoran Desert, the city is 3.5 hours from the state’s iconic Grand Canyon, one of the World's Natural Wonders. Phoenix’s metropolitan area, commonly referred to as the Valley of the Sun, is surrounded by low mountain ranges, including the White Tank Mountains, Superstition Mountains, McDowell Mountains, and Sierra Estrella. The city offers a diverse array of attractions such as world-renowned museums, historic neighborhoods, luxury spas, upscale boutique shops as well as popular outdoor activities like golfing, hiking, mountain biking, and mountain climbing. An Arizona hub of activity, the city of Tucson is situated in the Sonoran Desert and surrounded by five minor mountain ranges that include the Tortolita Mountains, Santa Catalina Mountains, Santa Rita Mountains, Tucson Mountains, and the Rincon Mountains. Proudly listed as a UNESCO Creative City of Gastronomy, Tucson is known globally for its plethora of divine restaurants and culinary traditions. For some of the most authentic Mexican cuisine north of the border, you will want to explore The Best 23 Miles of Mexican Food. 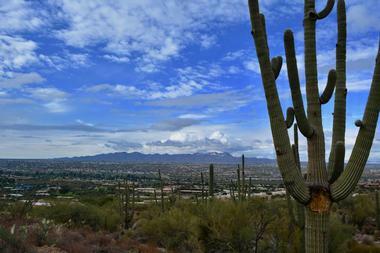 Tucson is also known for its historic sites, museums, boutique shops, and premier outdoor recreational activities. 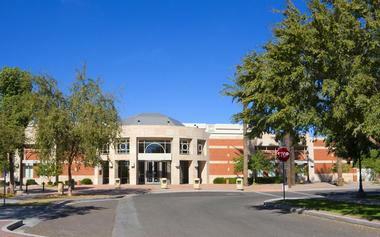 Located in the Sonoran Desert, the city of Mesa is situated approximately 18 miles east of Phoenix, Arizona. From innumerable outdoor recreation opportunities to Native American artist displays to farm-to-table dining, Mesa is a city rich with culture and natural beauty. Mesa is also home to Sloan Park where two Major League Baseball teams, the Chicago Cubs and the Oakland A’s, conduct their annual spring trainings. There are two rivers and three lakes within 30 minutes of the city where visitors can enjoy water activities that include boating, fishing, and jet skiing. 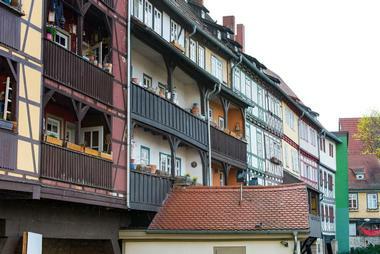 The city’s downtown area is filled with lovely boutiques, museums, and charming cafes. Situated within the picturesque Sonoran Desert, the city of Chandler is located about 23 miles southeast of Arizona’s capital, Phoenix. Chandler plays host to vibrant annual festivities and events, including the Ostrich Festival and the Chandler Jazz Festival. Rich with culture and history, the city offers a variety of museums and attractions for visitors to explore, including the Chandler Museum, Tumbleweed Ranch Park, and the Arizona Railway Museum. Visitors can peruse the charming streets of downtown Chandler trying local fare, admire public art, and shop in boutique stores. 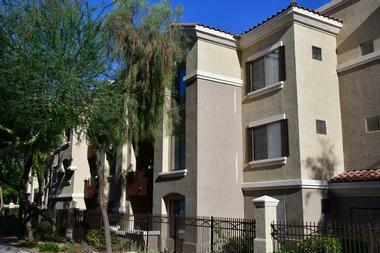 Chandler offers a variety of outdoor recreation that includes golfing, horseback riding, and hiking. 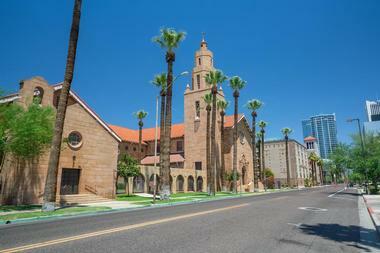 Glendale is self-proclaimed “Arizona’s Antique Capital,” with support for the claim from a USA Today article in 1998 and Sunset Magazine in 2004. 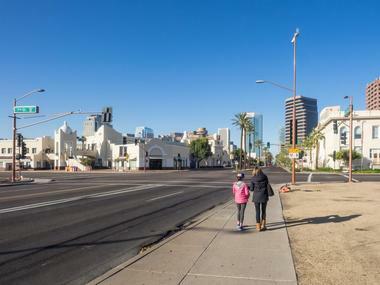 Situated nine miles northwest of Phoenix, Glendale offers its visitors first-class accommodations and one of the nation’s finest entertainment and sports districts. Nestled in the Sonoran Desert and surrounded by several mountain ranges, the area provides a variety of picturesque outdoor activities to enjoy that include hiking, mountain climbing, and riding ATVs. The charming Historic Downtown Glendale neighborhood was listed among the country’s top ten best locations for shopping by Sunset Magazine and USA Today. Scottsdale is a beautiful desert city in the state of Arizona located approximately 13 miles east of Phoenix. Situated in the picturesque Sonoran Desert, this city is known primarily for its luxury spa resorts and championship golf courses, including the famous TPC Scottsdale. With popular attractions like the Tonto National Forest and Superstition Mountains nearby, visitors can enjoy a variety of outdoor activities that include guided hiking tours, camping, and mountain biking. Scottsdale has also been known to provide residents and visitors alike with a vibrant arts and culture scene, award-winning gastronomy, and high-end shopping districts. 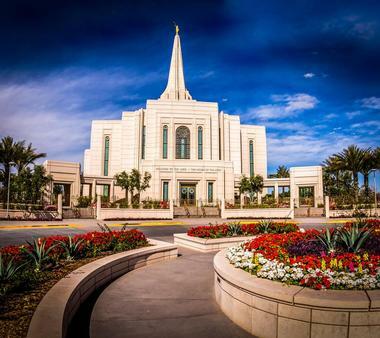 The most populous town in the United States, Gilbert is a desert town nestled between the mountains southeast of Phoenix, Arizona. 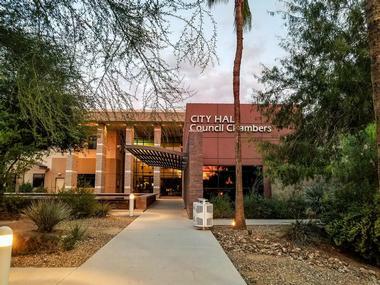 Gilbert has proudly been recognized by CNN’s Money Magazine’s list of “Best Places to Live in America.” While exploring the town’s charming Heritage District that represents its original location, visitors can explore the Gilbert Historical Museum and learn about the town’s rich history. Gilbert is the ideal place for the outdoor enthusiasts of the world with its plethora of championship golf courses and Central Trail System, featuring over 135 miles of unmarked and marked trails for bikers and hikers to explore. A truly laid-back city in the Sonoran Desert, Tempe is a wonderfully vibrant oasis situated just east of Phoenix, Arizona. The city’s crown jewel, Arizona State University was listed as “#1 in the U.S. for Innovation” by Best Colleges U.S. News & World Report. Visitors can take a scenic hike up Hayden Butte Preserve or “A” Mountain as the locals call it, go mountain biking at South Mountain Park, or take a Desert Belle cruise on Lake Saguaro and learn about the area’s geography, geology, and wildlife. 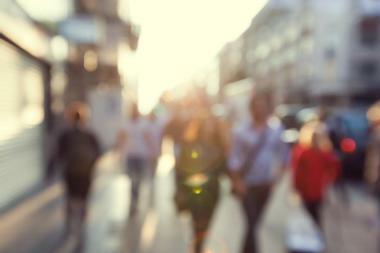 You will enjoy the city’s arts and culture scene, world-class shopping, and sensational gastronomy. 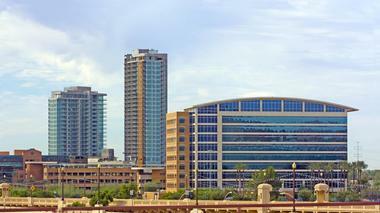 Peoria is a charming Sonoran Desert city in the Salt River Valley situated northwest of Phoenix, Arizona. The first facility of its kind in the country to be shared by two Major League Baseball teams, Peoria Sports Complex is the proud home of the Seattle Mariners and the San Diego Padres for spring training and player development. Peoria has a variety of outdoor activities to enjoy that include horseback riding along Lake Pleasant, going for a scenic hike up Sunrise Mountain, and taking a glider ride with Northwest Sky Sports over the picturesque mountains and desert. Visitors will appreciate the city’s historical museums and fine art galleries. Often referred to as the “playground of the West Valley,” Surprise is a desert city in Arizona situated to the northwest of Phoenix. Major League Baseball’s Spring Training is one of the busiest times of the year with Surprise Stadium proudly serving as the home of the Cactus League’s Kansas City Royals and Texas Rangers. Another one of Surprise’s major attractions is its championship golf courses, with the picturesque backdrop of the White Tank Mountains and perpetual blue skies, it’s easy to see why. Surprise’s culture and arts offer everything from traditional performances and crafts to fine arts galleries. Situated in Southwest Arizona bordering California and Mexico is the historic desert city of Yuma. 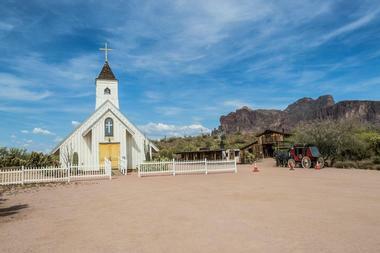 The city’s location along the dramatic Colorado River is where much of its storied past comes from. In the early years it provided the easiest passage across the river, making it a central hub for travelers. 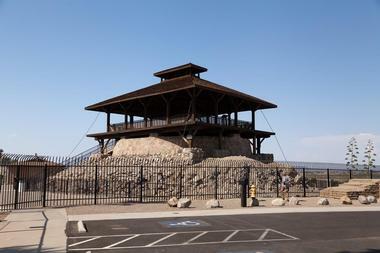 There are several museums and parks for visitors to explore the city’s history that include the Colorado River State Historic Park, the Cocopah Museum, and the Castle Dome Mine Museum. Visitors should also explore the Imperial Sand Dunes – a famous location where Star Wars scenes have been filmed. 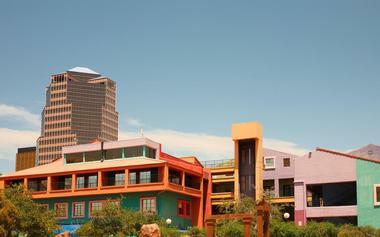 Avondale is a desert city in Arizona located in the West Valley about 18 miles west of Phoenix. 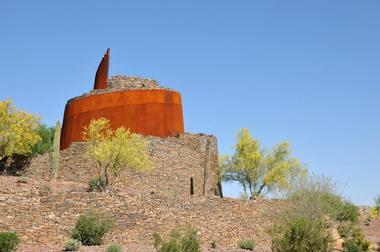 From its location on Monument Hill, visitors will find the Gila and Salt River Meridian surveying marker. The marker has been used since 1851 to measure Arizona’s land and is listed in the National Register of Historic Places. Avondale is also home to another popular attraction, the ISM Raceway. The track brings in droves of race fans from all around the country. Premier races include three official NASCAR events – the Xfinity Series, Monster Energy Series, and the Camping World Truck Series, plus the Verizon IndyCar Series. 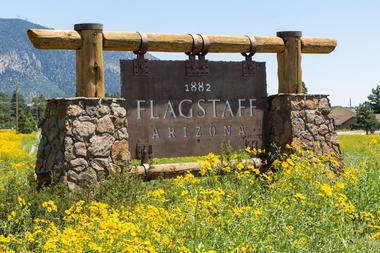 The city of Flagstaff is located in the northern half of Arizona, encircled by the Sonoran Desert, ponderosa pines of Coconino National Forest, and the picturesque San Francisco Peaks. It’s a gateway to the Arizona Snowbowl ski resort as well as Humphreys Peak, Arizona’s tallest mountain located within the San Francisco Peaks. Visitors can explore fascinating ancient pueblo sites at Wupatki National Monument or enjoy scenic hiking through Coconino National Forest. Flagstaff is ideally situated for day trips to Grand Canyon National Park where visitors can enjoy activities that include hiking the South Rim and taking scenic rafting trips down the Colorado River. 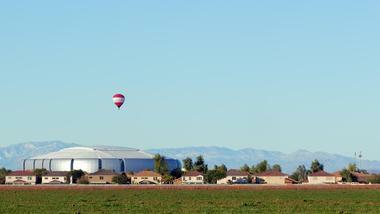 Situated in West Valley, Goodyear is a Sonoran Desert city located approximately 19 miles west of Phoenix, Arizona. 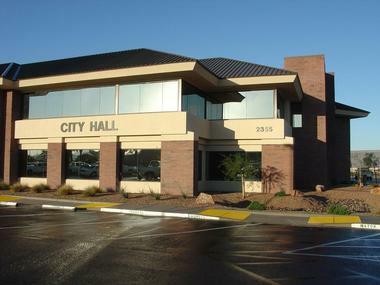 Named after the founder of Goodyear Tire and Rubber Co. Charles Goodyear, the city is home to Estrella Mountain Regional Park as well as Goodyear Ballpark. During Major League Baseball’s spring training, droves of baseball fans fill Goodyear Ballpark to watch games. The ballpark serves as the Cactus League home for both the Cleveland Indians and Cincinnati Reds. Estrella Mountain provides the perfect location for outdoor recreation where visitors can hike the Rainbow and Baseline Trails, mountain bike, and enjoy scenic horseback riding. Lake Havasu City is located in western Arizona in the Sonoran Desert, where it borders the state of California. 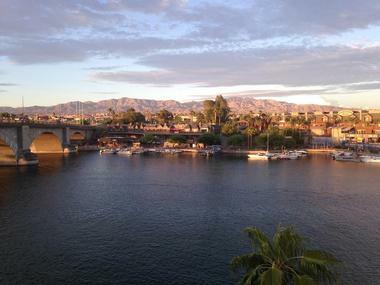 The city is a huge vacation destination with Lake Havasu as its main attraction. Visitors from all over flock here in droves to enjoy world-class lake activities that include boating, fishing, wake boarding, and water skiing. Another one of the city’s popular attractions is its original 1831 London Bridge that was bought from London and reassembled in 1971. It connects the city’s mainland to Pittsburg Point in Lake Havasu. Lake Havasu City is a great place for hiking, biking, golfing, shopping, and dining. 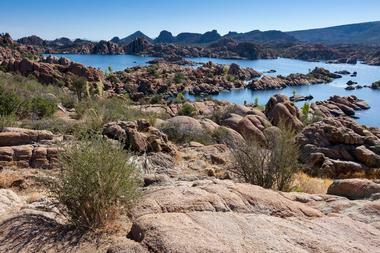 An outdoors and wildlife enthusiast’s paradise, Buckeye is a desert city in Arizona located 30 miles west of Phoenix. A 14-foot-wide, 133-foot-long bridge connects mountain bikers, equestrians, and hikers to several miles of picturesque trails at Skyline Regional Park. Visitors to the park will be able to view several wildlife species, including the Sonoran Desert tortoise, raptors, desert fox, and javelina. Buckeye is home to several championship golf courses that include the Raven Golf Club at Verrado, Copper Canyon Golf Club, and Sundance Golf Club. The city also features Buckeye Aquatics Center – an aquatic facility outdoors with pools, slides, and splash pads. Casa Grande is a desert city in Arizona located about halfway between the cities of Phoenix and Tucson. 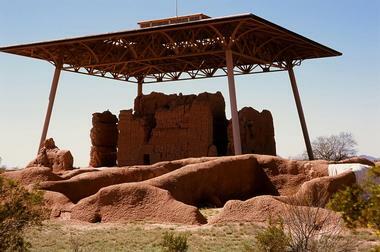 The Casa Grande Ruins National Monument is a must-see when visiting the area, the impressive seven-century old, four-story building can be carefully examined from its exterior. Another popular destination for visitors is Picacho Peak State Park, whose prominent 1500-foot peak can be seen from miles away. There are several beautiful hiking trails winding up the peak, which often overlook a gorgeous sea of wildflowers during spring. 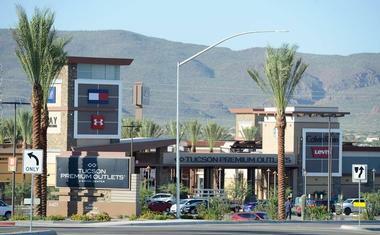 The Promenade at Casa Grande offers visitors specialty shops and department stores, restaurants, and a multiplex theater. With a temperate four-season climate and picturesque mountain views in every direction, Sierra Vista invites visitors with a fascinating history, clear skies, and world-class birding. Surrounded by marvelous 10,000-foot mountains and recognized as the Hummingbird Capital of the U.S., this desert mountain city is located about 80 miles southeast of Tucson, Arizona. Sierra Vista is primed for outdoor recreation surrounded by Dragoon, Mule, Huachuca, and Whetstone mountains that offer visitors beautiful panoramas and scenic hiking trails. 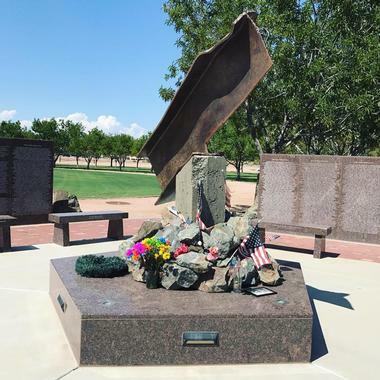 The city offers so much more with its parks and monuments, museums, art galleries, retail shopping, fine dining, and Fort Huachuca National Historic Landmark. Situated in Gila River Valley, Maricopa is a desert city in Arizona located approximately 35 miles directly south of Phoenix. One of the city’s top draws is the impressive Harrah’s Ak-Chin Hotel and Casino where visitors can try their luck at the blackjack tables or one of the latest video slot machines. The hotel offers exquisite dining options, retail shopping, a resort-style pool, and a championship golf course. Maricopa offers several beautiful Sonoran Desert trails that visitors can explore by hiking, mountain biking, and horseback riding. For a one-of-a-kind majestic flight over the picturesque Estrella Mountains, you should check out Arizona Soaring. Meaning “Valley of Gold” in Spanish, Oro Valley is a wonderfully laid-back desert town in Arizona located just north of Tucson. The town is flanked by the rugged Tortolita and Santa Catalina Mountains, providing stunning panoramic views in every direction. Visitors will have plenty to explore with nearby Saguaro National Park, Tucson Mountain Park, and Saguaro National Park East. Oro Valley provides the ideal terrain for outdoor activities that include hiking, mountain biking, mountain climbing, and horseback riding. The town is also the proud location of Tohono Chul Park – rated “One of the World’s Ten Best Botanical Gardens" by Travel + Leisure Magazine. Prescott, a mile-high city nestled in the Bradshaw Mountains, is located approximately 100 miles north of Phoenix, Arizona. Surrounded by the Prescott National Forest and not far from the Tonto National Forest, the city’s location is a nature lover’s paradise. Visitors will enjoy a delightful pine scent as they hike, mountain bike, and horseback ride through towering ponderosa pine forests. History buffs will appreciate the city’s classic downtown area replete with turn-of-the-century saloons situated along Whisky Row, beautiful Victorian Homes, and a plethora of Western history. 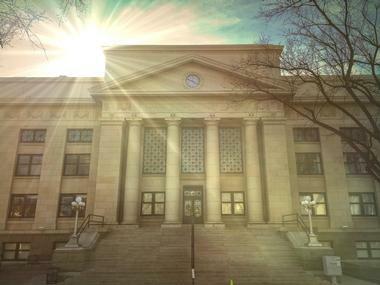 Prescott also features four prized museums, tasty local eateries, charming antique shops, and chic art galleries. Situated north of the juncture of California, Nevada, and Arizona you will find Bullhead City, Arizona, which draws visitors in with its stunning natural beauty, water activities, and array of outdoor recreation. With year-round sunshine and beautiful blue skies, access to the winding Colorado River, and views of the Black Mountain Range, visitors will have a plethora of options for play. The river offers several activities that include boating, kayaking, paddle boarding, tubing, fishing, swimming, jet skiing, wakeboarding, and waterskiing. You can explore the Grapevine Canyon and view the fascinating ancient petroglyphs that have been etched into boulders thousands of years ago by prehistoric cultures. Prescott Valley is a charming town in Arizona surrounded by natural beauty and located approximately 90 miles southwest of Flagstaff. The town is encircled by the gorgeous Prescott National Forest, the Mingus Mountains to the south, and the Bradshaw Mountains to the north. Visitors can take scenic hikes through the towering ponderosa pine forests where they may catch a glimpse of a bald eagle or a white-tailed deer. Additional outdoor activities to enjoy are mountain biking and horseback riding. There are a variety of attractions within close proximity of Prescott Valley that include Phippen Museum, Heritage Park Zoo, and Fain Park. Apache Junction is a Sonoran Desert city located in the eastern half of Arizona about 36 miles east of the city of Phoenix. This desert playground is flanked by the picturesque Superstition Mountains and offers its visitors an ideal location for outdoor recreation. The city offers a variety of cultural and historical attractions to explore that include the Superstition Mountain Museum, Goldfield Ghost Town, and the Lost Dutchman State Park. Outdoor enthusiasts can enjoy world-class climbing and hiking, mountain biking, off-roading with ATVs, and horseback riding. 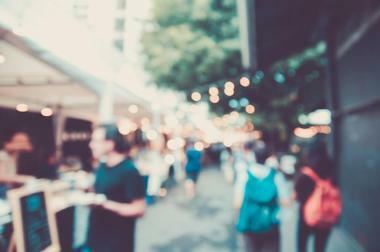 The city offers several tasty dining options, boutique shops, ice creameries, and charming cafes. Marana is a fast-growing desert town in the state of Arizona located approximately 23 miles northwest of the city of Tucson. Visitors will appreciate Marana’s thriving local brewers’ scene alongside an equally impressive farm-to-table culinary scene. Exquisite culinary dishes and interesting libations are as innovative as they are delicious. 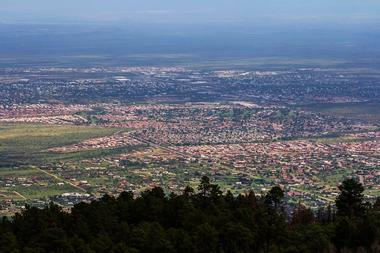 Historically home to orchards and cattle ranches, the city primarily served as the breadbasket of Tucson for a time. Marana has since become a cutting-edge epicenter for farm-to-bottle, farm-to-table, and desert-foraged food. With both Saguaro National Park and Tucson Mountain Park in close proximity to town, visitors can enjoy a plethora of picturesque trails for hiking, mountain biking, and horseback riding.